You'll be hearing from the staff at Food52 in Too Many Cooks, our group column in which we pool our answers to questions about food, cooking, life, and more. What's your favorite retro food? Savory or sweet? 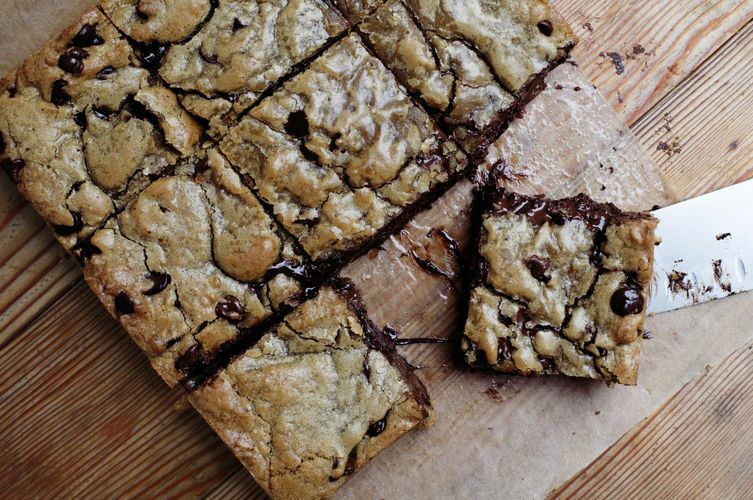 Crispy or gooey? Wholesome or shameful? Tell us your favorite blast-from-the-past food in the comments below. Sarah: My 2015 resolution? Eat more Gushers. Rachel: I used to gorge on Planters PB Crisps while playing Nintendo with my brothers. Tim: Don't judge me, but I still can't resist Top Ramen with a little Valentina hot sauce. I know I'm not 12 and/or in college and that I have delicious ramen all around me, but there's something about slightly undercooked Top Ramen that really speaks to me. 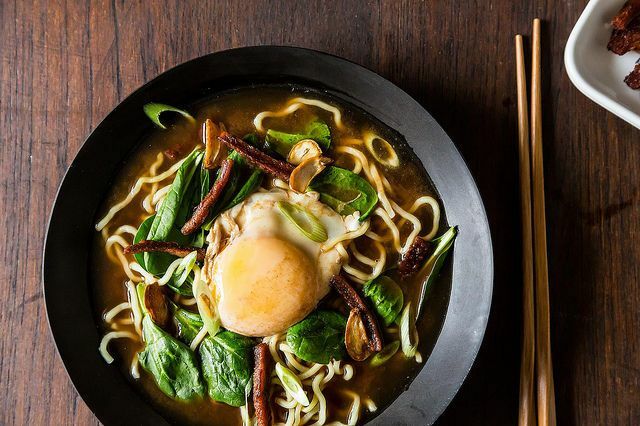 More: For something (slightly more) sophisticated, try this Bacon and Egg Ramen. Posie: Bugles. But only if you put one on every finger and then eat them off. Danny: My entire life has been spent trying to recreate the feelings I had when I first tasted a Zebra Cake. Marian: Count Chocula all the way, baby. 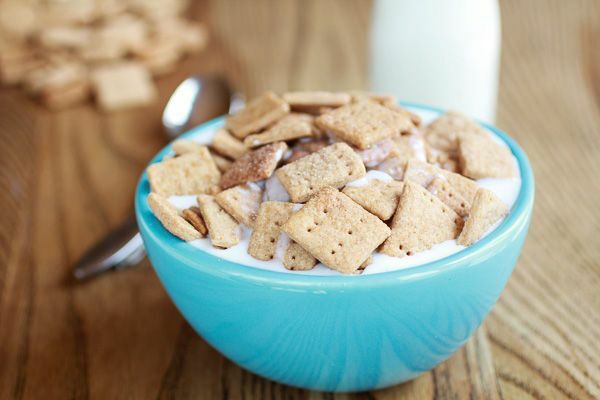 Channing: When it comes to nostalgic snacks, the saltier and crunchier, the better! I don't think anything will ever come closer to 3D Doritos (specifically Cool Ranch flavor...duh) or Planter's Cheez Balls. Unless, of course, you offer me a bag of exclusively red, white, and purple Shark Bites. Bryce: I always went for the powdered sugar mini donut snack pack you can (still) find at the gas station. Jason: So many cereals! Cinnamon Toast Crunch, Bigg Mixx, Croonchy Stars. Also, frozen Little Debbie Swiss Cake Rolls. Jojo: Shamefully, I still prefer Kraft Mac & Cheese to any other kind. 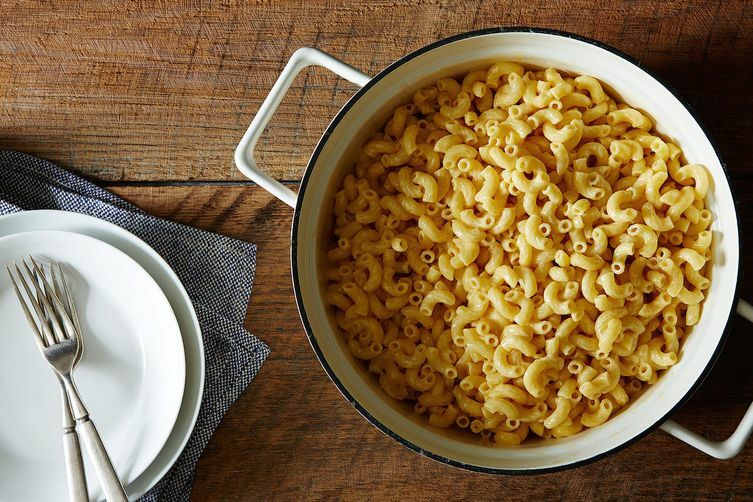 More: Perhaps Jojo hasn't tried this Ridiculously Easy Macaroni and Cheese. Erin: Since I was cursed with a mother who made everything from scratch, junk food of the not-homemade variety was a scarcity. Once, at a friend's house, I tasted the sweet, sweet nectar that was the Pillsbury Toaster Strudel. I saved all of the icing packet for the last two bites. Stephanie: Lipton's Chicken Noodle Soup with soooooo many Saltines. Especially the Alligator Noodle Soup kind with the tiny alligator-shaped noodles, or the Turkey Noodle Soup with the ring noodles. 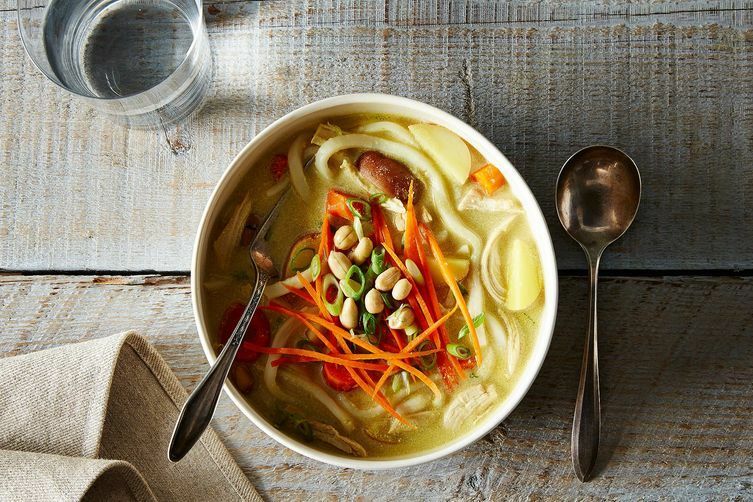 More: This Massman-Inspired Chicken Noodle Soup has a spicy Thai twist. Lindsay-Jean: Clearly Canadian, Corn Nuts, and DOTS. Hillary: These vaguely "healthy" things that were really just cake for breakfast. And Devil's Food Snackwells. Haley: I used to beg for the Kraft brand Shake and Bake chicken. And it's a known phenomenon that we still frequently serve Annie's boxed mac and cheese at fancy holiday gatherings -- this one, though, is my brothers' fault. 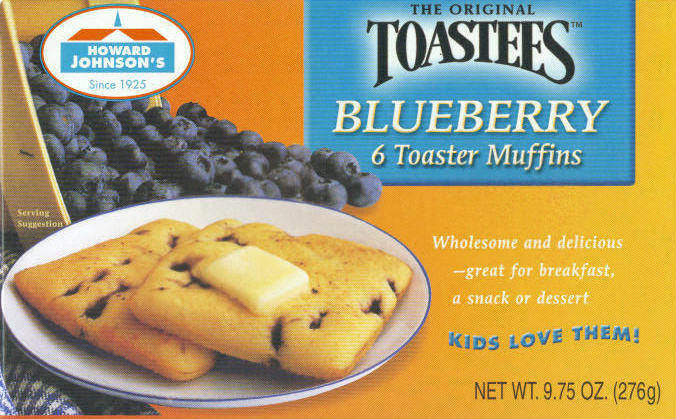 What foods make you nostalgic? Tell us in the comments! oven baked bbq chicken--chicken with bottled bbq sauce poured over it and baked. we call it "letha mae chicken" after the cook at my husband's fraternity house :). Spaghettio's with hot dogs, eaten cold right out of the can. Mmmmm! Tim, I'm with you on the al dente Ramen hahaha... my personal nostalgic favorites would also include Kraft Macaroni and Cheese, Dr. Pepper (okay, not food but oh well), and that Oh's cereal stuff. I too lived in a household where most things were homemade, and brand-name things were hard to come by. I still make this sometimes; my mother's weird baked mac'n'cheese. Cooked rigatoni , Cracker Barrel Cheddar and canned tomato soup. Layer rigatoni , butter , salt and pepper , cheese and tomato soup , add milk until it "shows through" end with cheese. Bake covered at 375 till bubbly, top with buttered Italian crumbs and bake uncovered till brown. It is a seat of the pants deal...no recipe...no measurements! This is the only thing like this she made ,she was a scratch cook. This was made in the cabin, at the shore ,when we were cold and famished! I wouldn't touch it today! A casserole made with canned tuna, condensed mushroom soup, and potato chips! !